Ukraine's One Philosophy is a multidisciplinary group of communications-based companies bound by the idea that fostering, and rallying stakeholders around, a shared purpose is key to driving change. 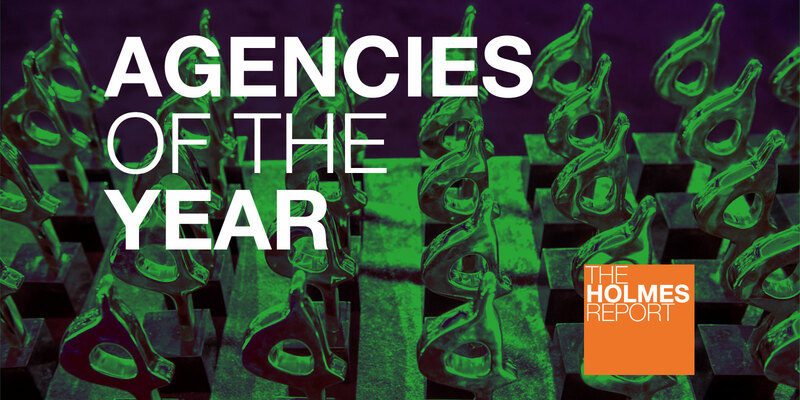 That tenet is reflected in the company’s own history, as well as the campaigns it rolls out for companies across its practices — corporate communications, healthcare, government relations, CSR and crisis management among them. The Be-it Agency, One Philosophy’s legacy company, broke ties with Russia’s PRP Group in 2015, after the start of the Ukrainian revolution, and retained its foothold in the CIS market. The company has since expanded, in 2016 launching Republic (which specializes in governmental relations) and Be-It Health and Social Impact; Last year, the group added Zeitgeist Design and Changers, which added branding and leadership development capabilities, which yielded the formal creation of One Philosophy. Launched as a joint venture between FleishmanHillard and leading local PR firm Vanguard in 2007, FleishmanHillard Vanguard (in which the Omnicom firm now owns a majority) has always been one of the best PR firms in Russia, bolstering that reputation in 2017 with a transformative year that saw it grow from 5th spot to 4th on the national PR agency ranking — consolidating its presence as the only international firm on the top 10, despite difficult market conditions. With 135 people now working across Moscow and Kiev under the leadership of general director Elena Fadeeva, FH Vanguard saw significant increases from its key existing clients, including P&G, Samsung and Megafon, while also retaining Avon, KFC Battle and Kellogg's. There was new business from Nestle, Tabasco, Aeroflot Russian Airlines, Sberbank, X-Fit and Legrand — while the firm’s sports practice continued to contribute to growth as FH Vanguard took on lead PR duties for the 2018 Fifa World Cup local organising committee, along with several sponsorship remits across the country. Following a strategic review in 2016, FH Vanguard continues to demonstrate its ability as one of the few firms that can successfully handle MNC and domestic clients, thanks in part to Fadeeva’s own focus on ethics, at both an agency and industry level. The firm does not participate in election or political campaigns (a key source of growth for many others in 2017) and has instead developed market leading positions in consumer, technology, crisis comms, digital/social media and global campaigns for Russian clients. 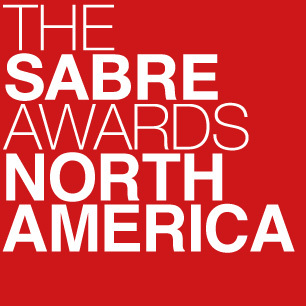 All of that added up to strong double-digit revenue growth, and FH Vanguard now operates as the largest international agency in Russia, developing a range of eye-catching campaigns that include two SABRE-nominated efforts this year, along with two SABRE winners in 2017. Founded in 1993, Mikhailov & Partners was one of the first public relations agencies in Russia and has been a pioneer for more than two decades, initially in corporate communications and reputation management, later in international communications (working as an affiliate of Burson-Marsteller), and more recently in developing a more integrated approach, blending offline and online strategies. The firm is headquartered in Moscow, has an office in St Petersburg, and a Kiev operation working with Ukrainian, Russian and global companies in Ukraine and other key CIS markets. Founders Peter Necarsulmer and Susan Thurman opened The PBN Company Moscow in 1991, during the early days of glasnost, and quickly established it as the market leader in helping western companies deal with access and policy issues in the emerging Russian market. WPP took a stake in 2007, bought a majority position and rebranded in 2012, and a year later handed the reins to new CEO Myron Wasylyk, who started the firm’s Ukrainian business in 1997 and now leads a team of more than 65 working for 85 clients across offices in Moscow, Kyiv and Almaty, Kazakhstan. While the firm continues to lead in the corporate and public affairs sphere (particularly in mining, energy, manufacturing and healthcare), it has expanded its focus in recent years. About 20% of its revenues are now in the consumer marketing and creative space, and much of the growth in 2017 came from the pharmaceutical and information technology sectors, enabling PBN to achieve 12% growth despite a Russian economy that is still bouncing back from the 2015 currency collapse. Pro-Vision experienced tremendous growth in 2017, with fee income rising 35% to US$5.4m despite the Russian economic recession, which took a significant toll on the market’s larger industry. The firm’s portfolio of international brands grew nearly as much, at 30%, with an impressive list of new blue-chip clients — Adidas, Coca-Cola, Sony Playstation, Nikon, Nespresso, Nestle, the mobile provider MegaFon (one of the country’s largest mobile providers) and the Moscow City Committee for Public Services among them. They join existing clients including Lego, Henkel, A&E networks, AMC networks, Scripps networks interactive (Fine Living, Travel Channel, Food Network), Viacom International Media Networks and Beiersdorf. All of which is a testament to the enduring strength of Pro-Vision, which, having been founded in 1998 is one of Russia’s oldest communications firm, as well it keeping ahead of the market and where it’s going. Last year, the 67-person firm moved into new areas of business, most notably public procurement. It also expanded its corporate communications and consumer electronics practices. Pro-Vision, under the watch of founder and CEO Vladimir Vinogradov, responded to quickly to pressures, such as a reduction in communications channels due to regulations, by finding new solutions. Strengthening blogger relations, creating the agency’s own bot to distribute press-releases and the introduction of SMS releases are among the steps it took.